Our printable ring size guide offers an accurate way to find your ring size at home. You could be searching for your ring size, or even your significant other's for a surprise proposal. To make sure that you get an accurate measurement, please make sure your printer settings are set to 100%. Once printed, compare the 5cm line at the top of the guide with a ruler. 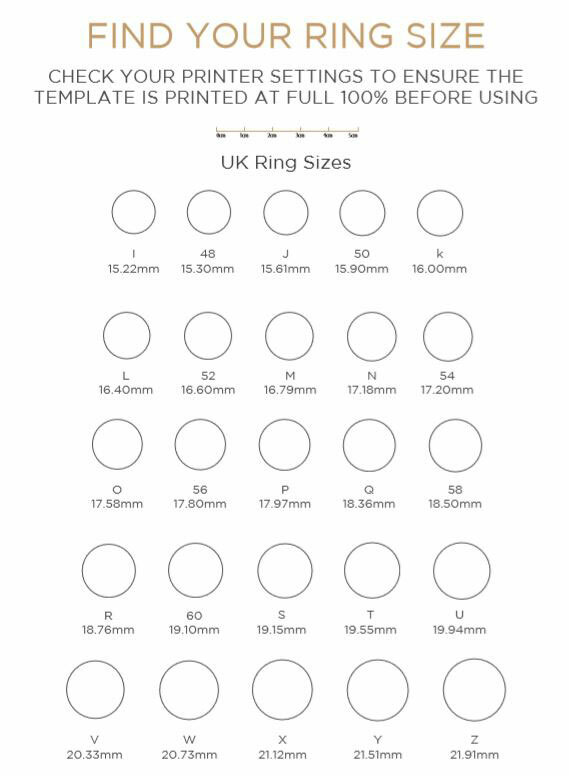 Please note that our ring chart is only suitable for UK ring sizes.